Managing KYC regulation is often perceived as a major hurdle to on-boarding new customers. 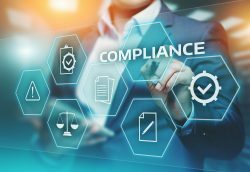 A study conducted to analyze the most demanding challenges experienced by executives at major financial institutions found that over 75 percent listed regulation compliance as one of their top five challenges that they expected to address in 2019. KYC (Know Your Customer) and AML (Anti-Money Laundering) requirements were born out of the desire to keep global financial markets clean and transparent. Over the years the ongoing additions and stipulations to KYC regulation has brought in layers of complexity and cost that in 2019 will make compliance increasingly difficult. The back and forth processes involved in obtaining necessary data often frustrates customers causing them to abandon on-boarding processes. Yet when not done properly, the financial institution becomes precariously vulnerable to being heavily fined or penalized. In a report conducted by SalesCycle, customer abandonment in the financial industry is exceptionally high. They found that as much as 79.3 percent of potential customers do no complete on-boarding application processes. Analysts expect that this is due to forms being perceived as overly burdensome and the difficulties in providing necessary multiple documents and points of identification. 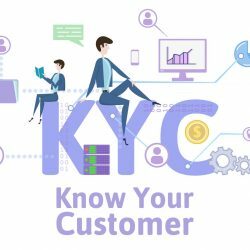 What if there was a way of minimizing the burden of KYC requirements, but instead using the regulation to differentiate your company from the competition? CallVU’s digital engagement platform ensures that customer data can be collected quickly, accurately and reliably. Our digital visual platform enables customers to easily provide the necessary data in real time. The solution utilizes Smartphone features that enable customers to scan and send in documents through a digital portal to the financial company. Customers can likewise submit rich media content such as photographs and identity documents and digitally sign confirmation forms. To see the solution in action watch this video Onboarding New Customers Made Ridiculously Easy. This technology not only ensures that KYC requirements cause minimal interference to customers as they complete financial activities, it also works to enhance the customer experience, providing added value to your services, above and beyond that of your competition. CallVU’s KYC solution is designed to help financial institutions at the very early stages of collecting data. However the solution can also be integrated into back end systems, such as the company CRM and databases. This ensures that as soon as customer data is received it is automatically transferred to the relevant data field and saved for company record keeping and reporting. From hindrance to help, it’s time to rethink KYC.